The invitations have been printed and the cake ordered – England’s biggest event of the year is well and truly around the corner. We’re talking about Prince Harry and Meghan Markle’s wedding. Though we might not have been personally invited, we’re still rushing around to get our homes and gardens ready for the inevitable royal wedding parties. The ceremony is taking place on Saturday the 19th May at Windsor Castle, and is due to be a suitably grand affair. Following suit, we’re getting our gardens in shape – if you’re wondering how to get your garden ready for the royal wedding, we’ve whipped up a few tips. Let the party planning begin! The gardens at Windsor Castle are spectacular, so it’s a given that the blooms come royal wedding time will be out of this world. It’s rumoured that the wedding flower selection will consist of white garden roses, peonies and foxgloves from the Crown Estate and Windsor Park, highlighted with branches of birch, hornbeam and beech. 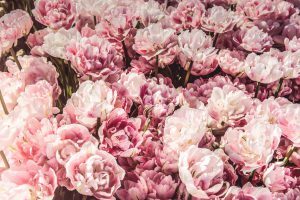 It’s a little late to plant these blooms in your garden and have them ready to go by May, but stacking potted flowers around your garden or scattering vases around surfaces and hanging in jars around the perimeter will work just as well. To get extra detailed, you can even go for deep royal reds and sweet yellows for Meghan Markle’s engagement ring. Plus, Windsor Castle even sells their own flowers at the plant shop – pick up some pots and plants here and you’ll be well ahead of the royal wedding game. You’ll want plenty of space for a table in your garden for a royal wedding party, so if you’re lacking in room, clear out as much clutter as you can. Next comes the garden furniture – you won’t necessarily need to squeeze in all of the royal family and 2,000+ members of the public, but a few chairs will do the trick. The centrepiece should undoubtedly be a rustic farm table and the lemon elderflower cake you’re definitely going to make a la the official royal wedding feast. Nothing helps give off the royal wedding-ready garden look quite like bunting and a string of twinkly fairy lights. 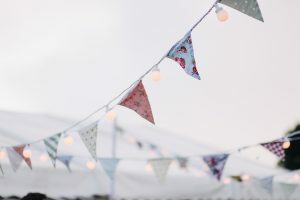 As far as bunting goes, you can go head down the traditional route with Union Jack flags, but bunting in a sweet white lace will look elegant, too. Details of Meghan Markle’s dress are still very under wraps, but we think it’s pretty safe to say you can’t go wrong with white. Fairy lights just offer something special to a garden, which is what you’ll want for a space that’s celebrating something as momentous as a wedding. Plus, they’ll offer ample lighting when you’re still toasting the bride and groom well past midnight. The final touch on your royal wedding-ready garden are a few bits of royal kit. Little garden statues of the Queen’s Guard or an elaborate carriage – as Prince Harry and Meghan Markle will have a carriage procession after the ceremony – will give your garden a little character. 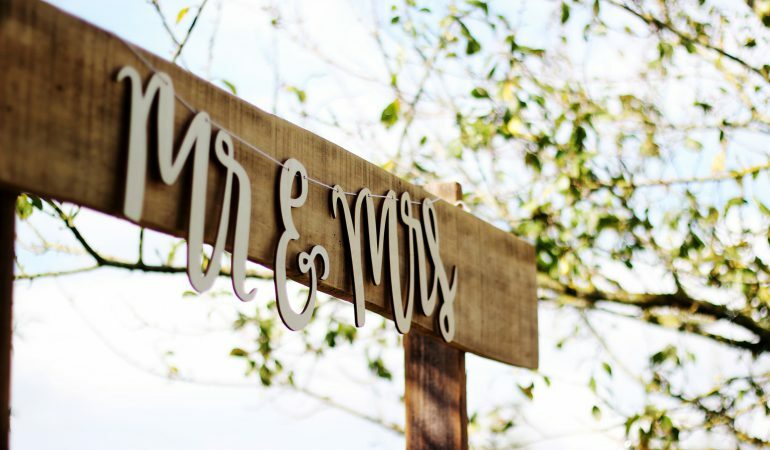 If you really want to impress your garden guests, you can detail little garden plaques in a script resembling the couple’s wedding invitations. They were designed by Barnard and Westwood in London, and feature Prince Charles’ three-feathered badge. Are you planning a royal wedding party? Make sure you follow us on Facebook or Twitter (@Anglianhome) to catch our post next month on how to throw the ultimate royal wedding garden party!